How in the world is Valentine’s Day almost here? 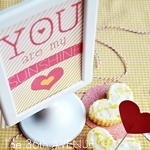 I feel like I was making Christmas Crafts just yesterday and I’m sharing today my last Valentine project of this year! 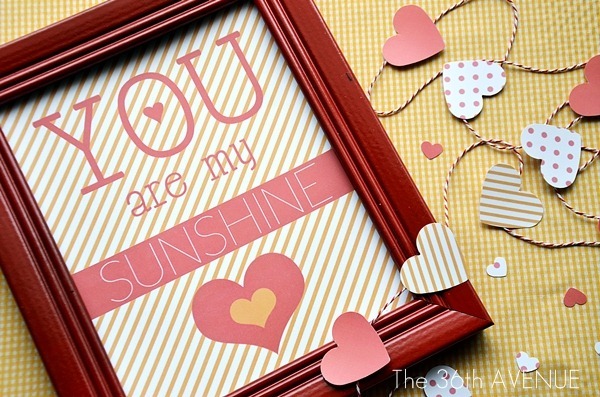 Here I have a happy last minute Valentine printable… you can see I’m ready for some sunshine! 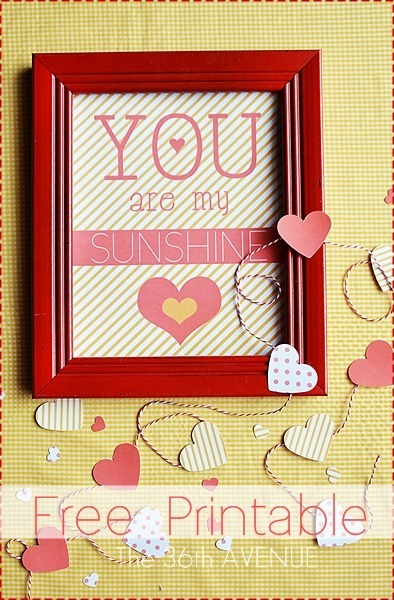 This printable is actually a set, the 8×10 Sunshine and another 8×10 sheet with the patterns to cut the hearts. 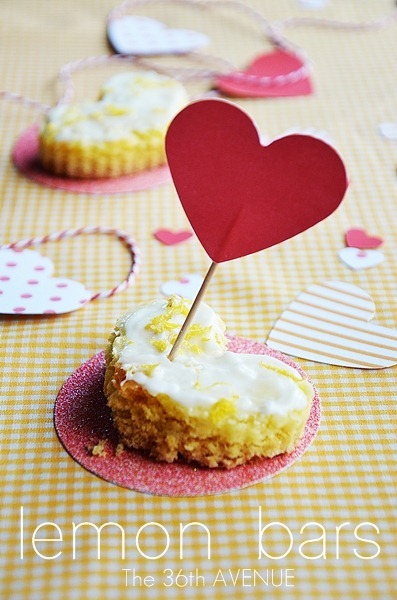 …or even decorate a treat if you stick the heart to a toothpick to make cupcake toppers. 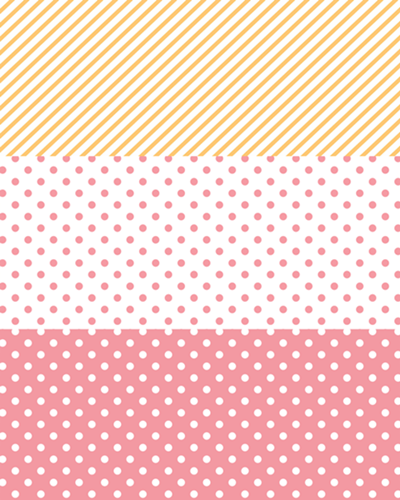 Here you can see how cute it looks on top of our lemon bars. 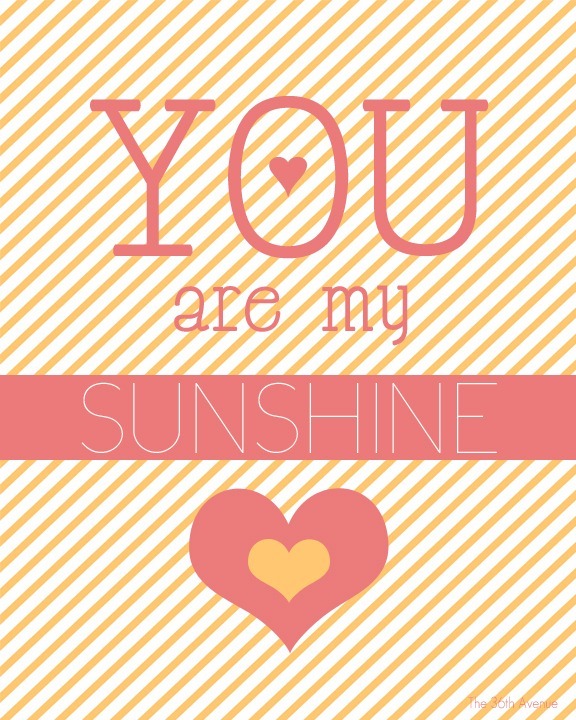 If you want you can re-size the printable to a 4×6 and make Valentine Cards with it. 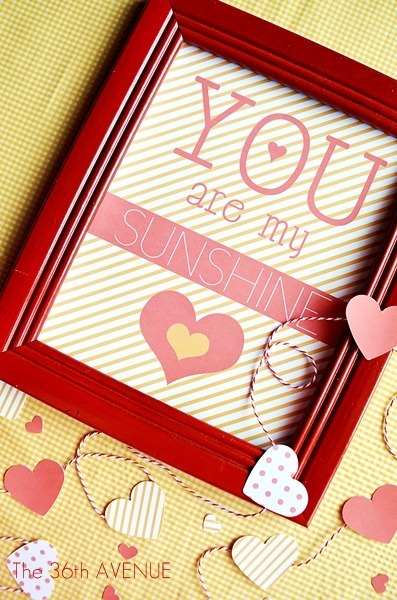 Or even display it in a smaller frame to decorate for a Valentine’s party! 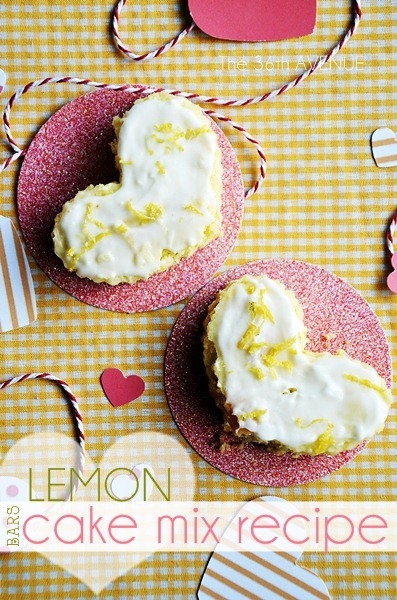 It is made with lemon cake mix, so you’ll love how easy it is to put the recipe together. 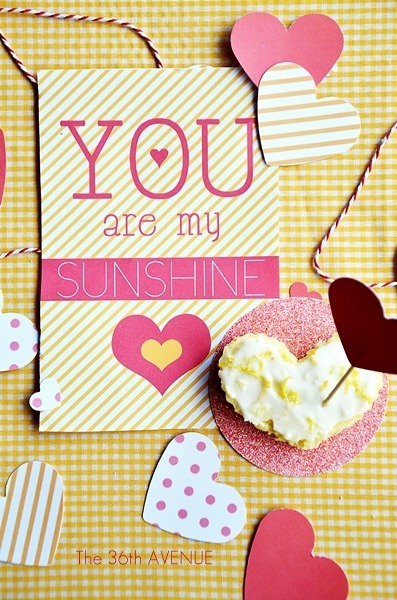 Such a bright, happy and fun way to say i love you! Well, that’s it for today… Wishing you all a beautiful day! Cuteness Desiree.. 🙂 Love those hearts and ways they can be used. I have a sudden urge to make those. 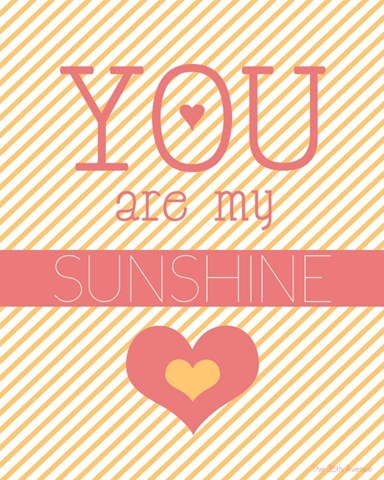 Great and cute printable! I think it will be perfect to send to a friend’s baby as a gift to hang in the nursery room! Thank you! I know, I thing Father Time could do us all a favor & slow down a bit too. 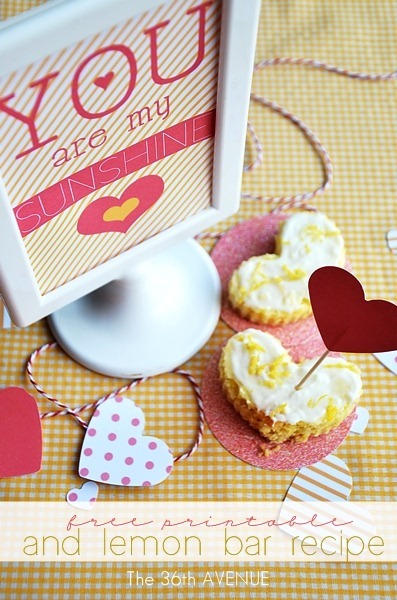 I love your projects for valentines day! My vday crafts consist of threading a lollipop through the little holes on store bought cards for bellas class. Good job! It certainly is adorable- brightened my morning! Adorable! I can’t believe it’s almost Valentine’s Day either. Thanks for sharing.